PVC AirMesh banners are ideal for outside use in high wind areas as the large mesh allows wind to pass through. 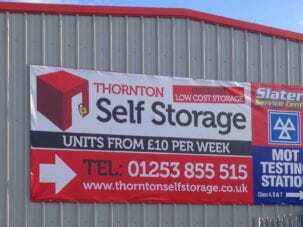 We print and finish AirMesh Banners to any size or specification on our 5m wide machines. PVC AirMesh banners allow air and some light to pass through, which means less resistance to gusts of wind. Ideal for fences, high building and scaffolding wraps. Billowing, flapping and the risk of your banner ripping are all reduced. Reinforced Hem Price (SQM) (£1.50) This must be a number! Turnaround on this product is 5-6 working days from receipt of payment and print ready artwork. If order and payment is received after 2pm turnaround times will start from the following day Delivery is via a 3rd-party courier, we cannot be held responsible for delays to deliveries which are out of our control. 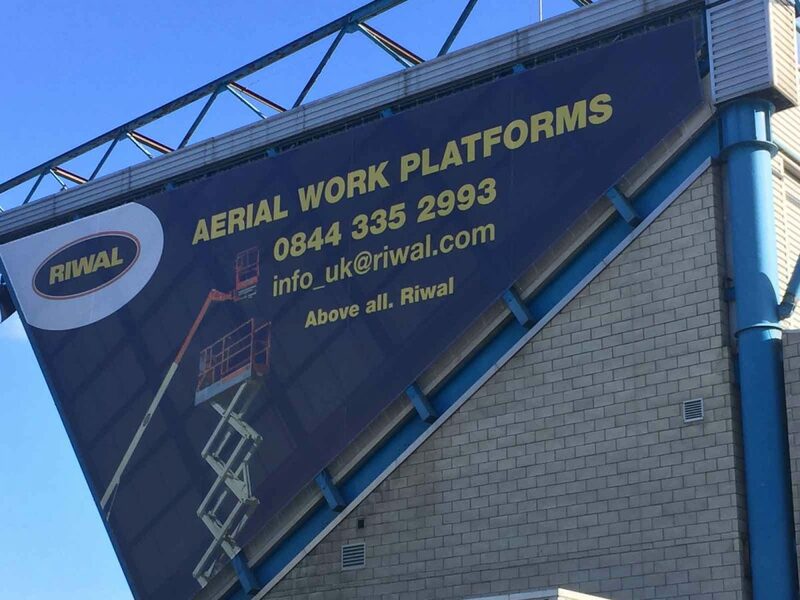 For a faster production and delivery service on AirMesh Banners, please call us on 01253 897 840. Ideal product and service, we will be having these around all our sites. AirMesh is lighter in weight than a traditional frontlit banner. 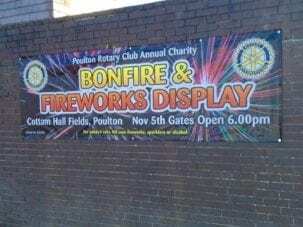 Normal PVC banners are not recommended in winds of 30mph+ as hems and eyelets can be ripped out. 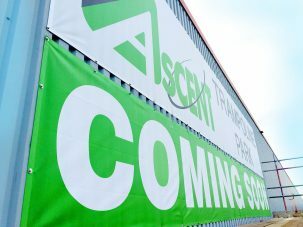 A professional survey of your intended installation site is advisable for any banners over 25 square metres in size. A surveyor will calculate wind-loading on the structure and advise on the fixings necessary. Larger AirMesh Banners such as Building Wraps are normally installed in sections, straight onto scaffolding using Bungee Shock Cord. 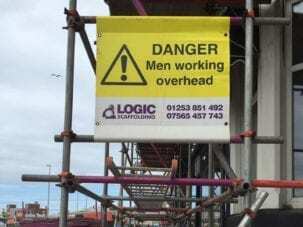 Your scaffolder should ensure that no pole ends are projecting so that they may damage your banner. 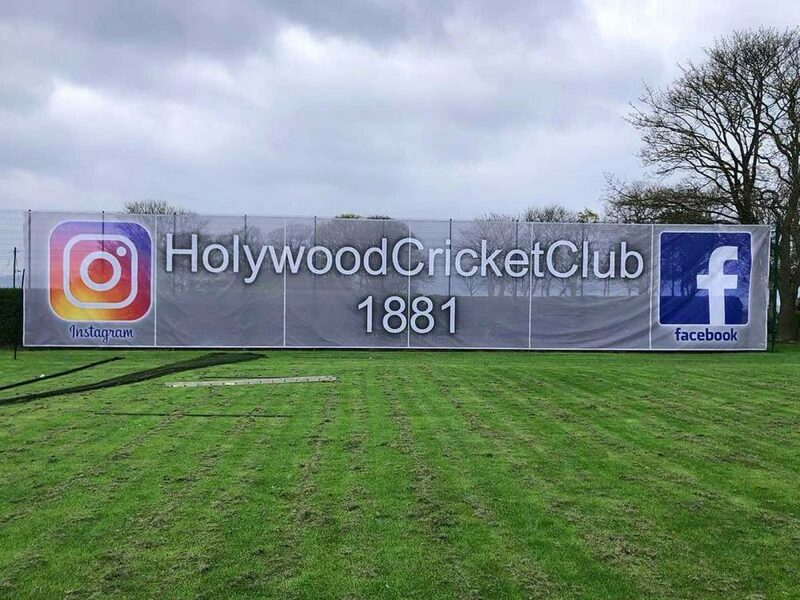 Without scaffolding, large mesh banners can also be installed using a wire cable frame and a criss-cross effect of bungee rope. 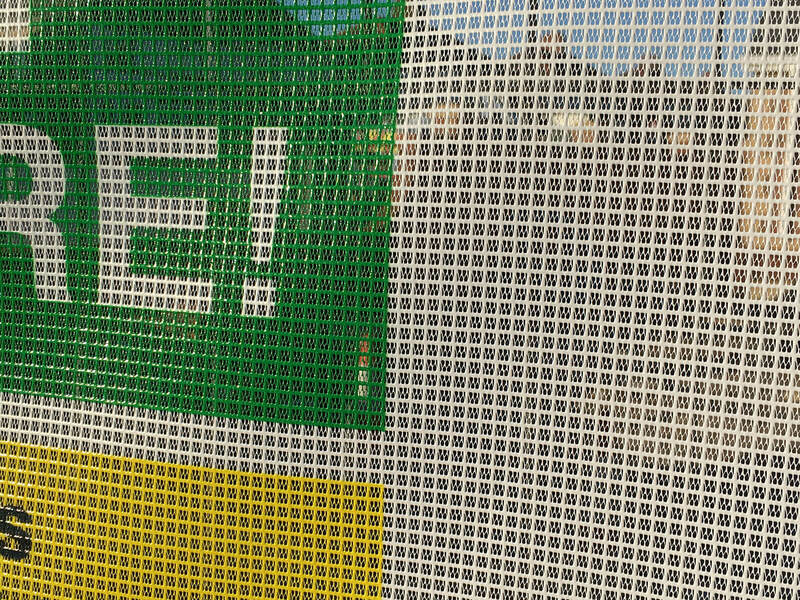 This method allows even more give when the wind hits the mesh banner and ensures a secure and long-lasting installation. Smaller banners for projects such as Heras Fence Banners can be installed easily using cable ties. 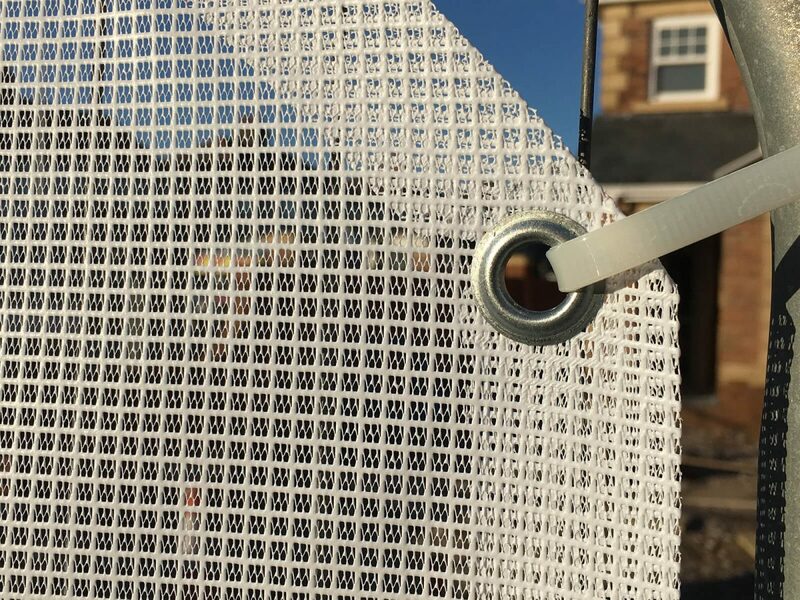 As standard we hem and eyelet our Mesh Banners all round with heavy duty webbing and metal eyelets. Pockets to slide poles through can be provided at no extra cost, please specify the pole diameter in your order notes. Check our Guide to Pole Pockets on Banners. This is a slightly heavier material with less holes and is our most popular mesh pvc material. At only 115gsm, AirMesh Flag is our lightest mesh fabric. 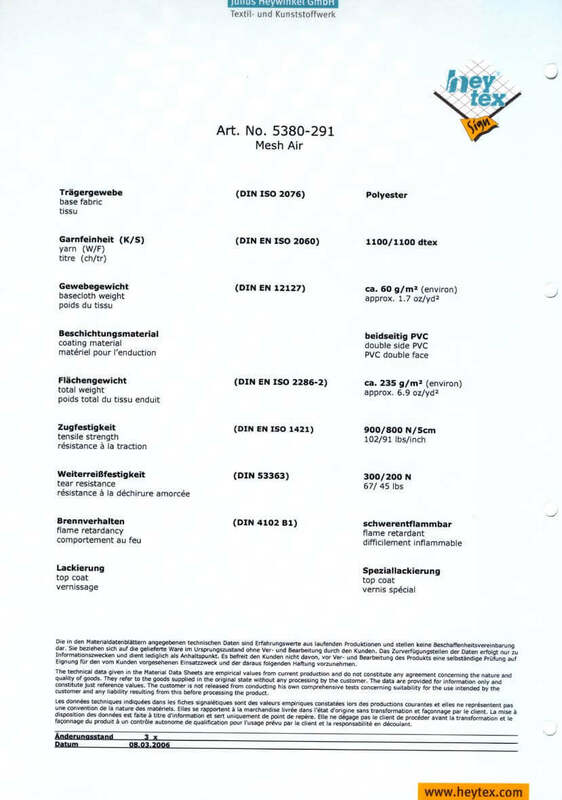 As a polyester-based fabric, it is also much more environmentally friendly than PVC products. Ideal for smaller mesh banners required very quickly. Printed on our smaller machines and limited in size to 1.25m in one dimension. Will you check if my artwork is suitable? Yes we do check for suitability. We check for quality and sizing issues, but it is up to you to supply artwork correctly as we cannot be held responsible for your mistakes. Will you send a parcel in plain wrap? As standard everything is sent plain wrap. We do not brand any of our parcels inside or outside. Why would I choose an air mesh banner? Air mesh is a better solution to standard mesh in high wind areas. Air mesh reduces wind loading by 50% as apposed to standard mesh. What eyelets do you use? Nickel plated eyelets with 12mm centre holes. 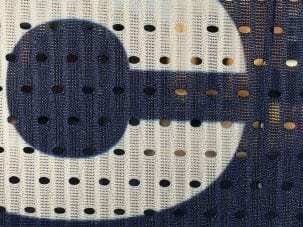 Our eyelets will be evenly spaced around the banner every 500mm as standard. What is a reinforced hem? A reinforced hem adds additional reinforcement webbing to all edges of the banners to give extra strength and durability. Can I have a fire certificate?